All glories to Sri Guru, Sri Gauranga and the Brahma Madhva Gaudiya Saraswata Sampradaya! It is sad to say that in our contemporary Gaudiya Vaishnava community, many of us are Vaishnavas in name only. We make a show of devotion, but what we are calling devotion is in fact the observance of few rules of moral behavior at best. In essence, it is thus not devotion at all. Moreover, in the name of pure devotion, we are also abusing the ideal of yukta vairagya, renunciation with proper adjustment to time, place and circumstances. We are not supposed to be followers of Ekalavya, who was rejected by even his own guru Dronacharya. We must take stock of our true standing on the bhakti marga? Service to the spiritual master is based on surrender, and not on just following a few moral codes. Service to the guru means following the pure devotional path according to his instructions. It goes beyond morality. Krishna proved this when He instructed Arjuna to kill his own kinsmen. Krishna told Arjuna: “Do it! You will not incur any sin. I shall protect you.” It was not “moral” to kill Dronacharya, Bhishma and all the other great and pious heroes fighting for the Kauravas, but Arjuna surrendered to Krishna, his guru. He thus surpassed the mundane principles of morality, which involve following rules and regulations to keep peace and order in human society. We must not neglect the instructions of our diksha guru. For, if we are not surrendered, we cannot actually render any true service to Krishna. Srila Bhaktisiddhanta Saraswati Thakur Prabhupada gave us the proper conception of yukta vairagya for our present times. We should try to understand it properly if we are to serve the cause of Sri Chaitanya Mahaprabhu. This song clearly says that without surrender, a devotee is without life (prana). Surrender to guru, Vaishnavas and Krishna will give us back our life. We have nothing to lose. This is the benefit of the bhakti process. On the other hand, if a person has a good character, but no devotion, he can be considered a moralist at best. The soul gives life to the body, which is otherwise dead. Similarly, a life of so-called devotion without surrender is like a useless corpse. It is impossible to achieve divine love (prema) without surrender. In this regard, we can learn a good lesson from the famous story of Ekalavya. Once, when Arjuna, the celebrated Pandava, was still a boy, he, his brothers and his cousins studied the military sciences from the great master Dronacharya. At that time, Ekalavya, the son of Hiranyadhanu, the king of an aboriginal tribe, was moved by his faith to approach Dronacharya and request him for instruction in archery. Dronacharya refused to teach his prospective disciple because he wanted to test his faith, but Ekalavya was stubbornly determined to learn archery from the master. So unbeknownst to Drona, Ekalavya went to the forest and fashioned an image of him out of clay. He then began to practice archery in front of this image all day long. Concentrating his mind on Dronacharya in this way, Ekalavya gradually became the most expert archer in the world, more skilful than even Arjuna. Arjuna was not only Krishna’s intimate friend, but also Dronacharya’s dearest disciple. The master had once promised him, “No one will ever excel you in this art. You will become the best archer on this earth and so will you remain, I promise you!” One day, the Kauravas and the Pandavas went together for a walk in the forest when they suddenly saw something quite astonishing. Lying peacefully on the ground was a dog whose mouth had been sewn closed by seven arrows. The boys thought that one who could perform such extraordinary feat was undoubtedly the best archer in the world. They also thought that perhaps he was even better than Arjuna. As they continued to penetrate deeper into the dense forest, they came across an unknown archer tirelessly practicing his marksmanship. It was he who had shot the arrows at the dog because the animal had been barking and disturbing his concentration. When the boys returned to the palace, they related the incident to Dronacharya in detail. Arjuna humbly reminded Dronacharya of his promise that no one would ever excel him in archery. Dronacharya, who was very surprised to hear of the existence of such an expert bowman, went to the forest with Arjuna to meet him. When they reached Ekalavya’s cottage, they saw him sitting down before the clay image of Dronacharya and shooting arrows with great expertise. As soon as Ekalavya saw them, he paid them their due respects, honoring Dronacharya as his master. When Dronacharya heard that Ekalavya considered him to be his guru, he requested dakshina from him. Dakshina is the donation or gift given to a priest or one’s own guru. In ancient times, masters used to demand their due dakshina from their disciples at the time of initiation. Ekalavya stood with folded palms in front of Dronacharya, and told his master that he was ready to do whatever he ordered. Dronacharya then demanded that Ekalavya give him the thumb of his right hand. Though the loss of the thumb meant that he would no longer be able to shoot, Ekalavya cut it off without hesitation. 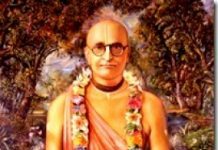 Srila Bhaktisiddhanta Saraswati Thakur explains that Krishna, bhakti and the bhakta partake of the same absolute nature. A devotee enjoys a special position because the Lord is favorably inclined to him. On the other hand, a non-devotee may have many good qualities and moral virtues according to the standards of worldly life, but all these assets have no value in the eyes of the Lord. Any one who thinks that morality surpasses bhakti will fail to catch this subtle point. Though Ekalavya had initially been rejected by Dronacharya, he was moved by his own faith to make an image of clay of his master. He had then achieved perfection in archery by practising in front of that image. This seems to be an example of devotion to the master. Indeed, it seems that Ekalavya was completely surrendered to his guru. Otherwise, how could he cut away his thumb without thinking twice? However, it is my humble opinion that a devotee on the path of surrender must dismiss the example of Ekalavya. When Dronacharya refused to instruct Ekalavya in archery, he had good reasons for not doing so. Ekalavya should have waited for his guru’s mercy, but he did not. Instead he concocted his own way of achieving his mercy by moulding the image of clay and training in front of it. In fact, the mind of Ekalavya was tainted by the desire to become a famous, skilful archer. He wanted to surpass Arjuna’s dexterity in bowmanship. This was not at all a good attitude, especially if we consider Arjuna’s status as a pure devotee of the Lord. The desire to be “bigger” or more famous than another Vaishnava is not devotion at all. This was also against the desire of Dronacharya. Therefore, Ekalavya committed guru aparadh by neglecting Dronacharya and Vaishnava aparadh by being envious of Arjuna. This is perhaps the reason why later on Ekalavya was killed by Krishna and merged into His brahmajyoti effulgence. This is the way Krishna deals with the demons. They achieve sayujya mukti, the liberation that is always despised by devotees. Ekalavya’s dealings with Dronacharya were also tainted with impersonalism. He really did not take the instructions of his guru to heart. Instead of following the directions of the living guru, he used his guru’s clay image as a means to achieving his own cherished ambition. Ekalavya tried to draw his guru’s attention to himself instead of surrendering to his guru. This shows that his devotion was artificial. In other words, he outwardly showed the behavior of a disciple, but his heart was consumed by egotism. Similarly, one should not have the outward dress of a Vaishnava while harboring the attitude of a mundaner. Penances without the sanction of the guru and the Vaishnavas do not fall in the category of bhakti. Materialistic people with a demoniac mentality also perform many austerities, but their aim is to get material benefit and enjoy sense gratification. Although Ekalavya was not interested in gross sensual pleasure, his austerities had not been sanctioned by any senior authority. Thus the expert Dronacharya was able to detect that his devotion was mere pretense. For these reasons, therefore, Ekalavya’s example is a dangerous one, particularly for beginners on the path of bhakti. We are living in difficult times. 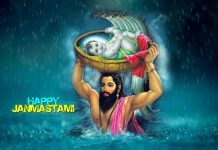 We have to face many problems even in the association of other Vaishnavas. 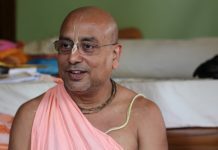 Senior members of our Gaudiya Vaishnava community are somewhat puzzled by the nature of these problems. They too confess that they have no idea of how to bring about positive solutions. The subject matter is very intricate and requires more analysis. What must be done? It is true that if we stick to the instructions of our guru, Krishna will remove the ghost of Ekalavya from our mind. We must surrender and if we are sincere, the Lord will accept our service. We should not be Vaishnavas in name and dress only. We should stop thinking and acting like Ekalavya. We have to become saragrahi Vaishnavas, not just worshipers of the form like Ekalavya. In the words of Srila Sridhar Maharaj we have to dive deep into reality. Lochan Das Thakur stated that we are just chewing a piece of dry wood instead of sugarcane. Unless we surrender to Krishna, He will not accept any prayer from us. How then will He accept any service? This is indeed very sad. By nature, we are the eternal servants of Krishna, but as we lack surrender, sincerity, or both, we are unable to serve Him. The sign of sincerity is accepting that Krishna comes to us through our guru. All scriptures confirm this. My spiritual master, His Divine Grace Srila Bhakti Promode Puri Goswami Maharaj, told me that so-called freedom is detrimental on the spiritual path. We should not detach ourselves from the desire of guru and Vaishnavas as Ekalavya did. We should not try to establish moral codes other than surrender to the will of guru and Krishna. We should not feel envious of others’ opulence as Ekalavya did with Arjuna. The example of pretentious devotion set by Ekalavya can infect the heart of any aspirant on the spiritual path. Devotion to guru and Krishna should never be performed with an aim to achieving material benefits. Therefore, we have to keep very alert and remove the weeds of unwanted desires as soon as they sprout. 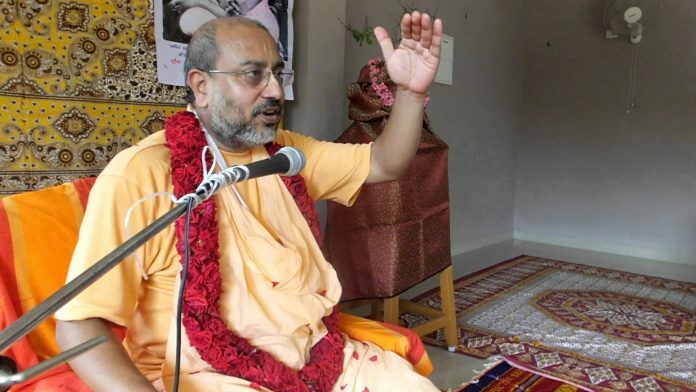 In conclusion, I request the readers of this piece with folded palms to excuse all my offences and bless me so that I may become a true disciple of my Gurudeva and a true servant of all the Vaishnavas.